Become the "Qualification Guru of Choice"
Much like yourself, I am a CWI, CWE, teaching welding classes and following the guidelines of AWS D1.1, Structural Welding Code Steel. I have purchased a number of the pre-qualified weld procedures from the AWS bookstore that fit the specific circumstances of the most common welding practices used in our area (6010 open root, 7018 fill/cover passes). 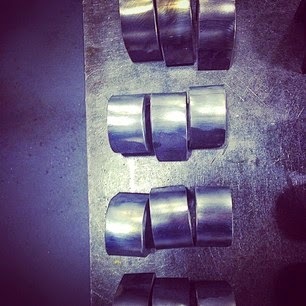 These weld procedures are referenced in the area on the WPS for welding procedure. Students are given a written, step by step procedure with illustrations, dimensions and weld parameters for the fit-up and welding of their test plates. Each section must be followed by the students, and signed by the Instructors. The guided bend test is performed by a qualified AWS CWI, and the test results are documented by the same Welding Inspector. My question is: does this weld test constitute a Welding Certification? My answer is: It does, but will the contractors, manufacturers or company the Welder works for accept it? AWS D1.1 tells us that Qualification (not “Certification”) is the responsibility of the “Contractor”. They can “farm” the work of qualifying a welder out to an educational facility, but the responsibility for that Welder Qualification still falls on the contractor. That’s the reason contractors give their own welding test regardless of any past qualifications the welding candidate may have. Setting up a “Certification” program (meaning; backing up a Welders qualification with documentation) in a vocational school isn’t uncommon, but if that program is sold to Welders as a means of becoming “Certified”, you’ve done those Welders a disservice. They could go through your certification process not understanding that their new “Certification” is not valid anywhere. Setting up that same “Certification” program and making your ”pitch” to area employers as the 3rd party qualification guru of choice would be far more honest and code user friendly. 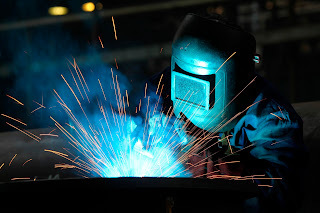 I spent many years in the welding industry filling the role of Welding Engineer (The person responsible for the qualification of persons and processes), Welder qualification was a messy and time consuming part of my job. When testing Welders “off the street” I would have a 10/1 pass rate (and then my 1 would fail the piss test). I would always look to my area technical schools to help me with that, but I found either a welding program that didn’t give me confidence that ALL the requirements of qualification would be adhered to, or the program was nonexistent. Seems simple enough, but at all of the locations I evaluated over my career, one or more (usually many more) of the requirements listed above were not met. There’s a great need for the service you’re suggesting, just insure you are selling it to the right people.